Wonderful story. Our whole family enjoyed the story in the van on the way to the Creation Museum. Listening to this story will be a new Christmas family tradition. A good listen in the car. My husband and 2 daughters (ages 19, 16) listened to this around Christmas time. Beautiful story. From Anonymous of Brookfield, Missouri on 12/12/2018 . Have enjoy very much. Have lost count how many times I’ve listened to story. From CHARLOTTE GROSS of Kalispell, Montana on 10/11/2018 . We love listening and reading Lamplighter Books and CD's. This was another excellent dramatic Audio! We can't wait for the next one to come out! 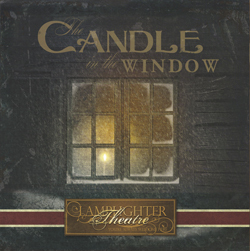 A Candle In the Window is an ideal story to listen to in the Holliday season (or any time for that matter). It's hopeful theme is carried though and portrayed through some excellent voice acting.